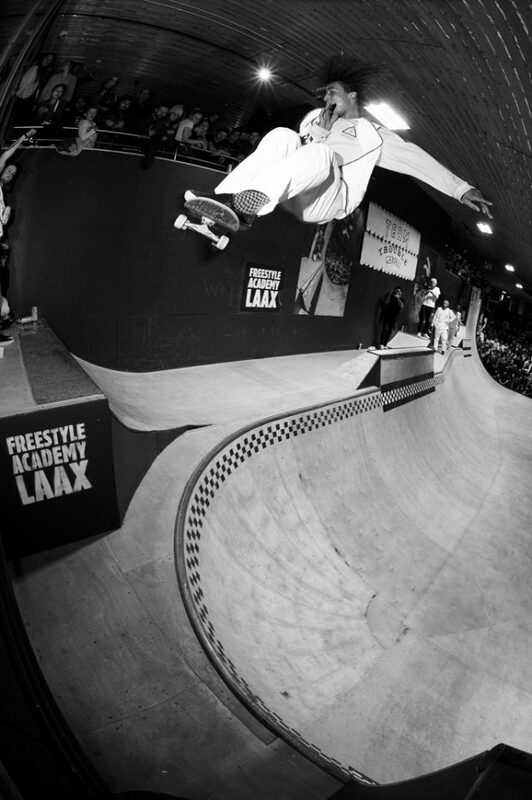 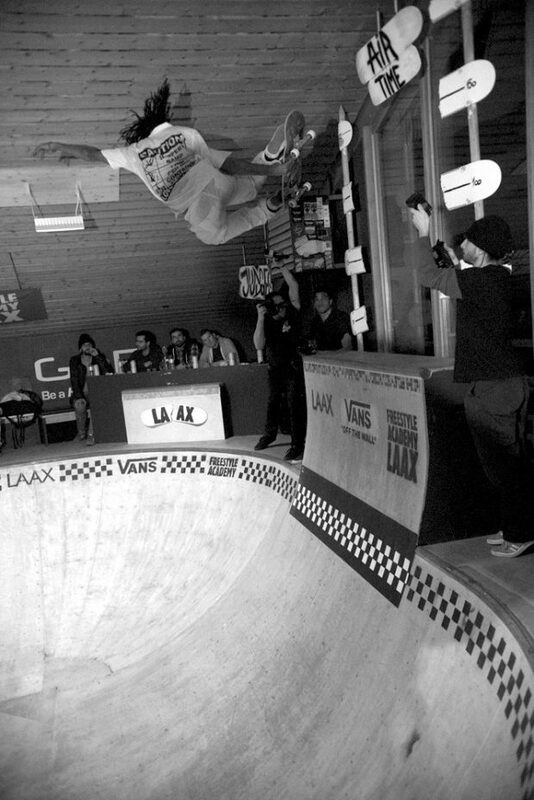 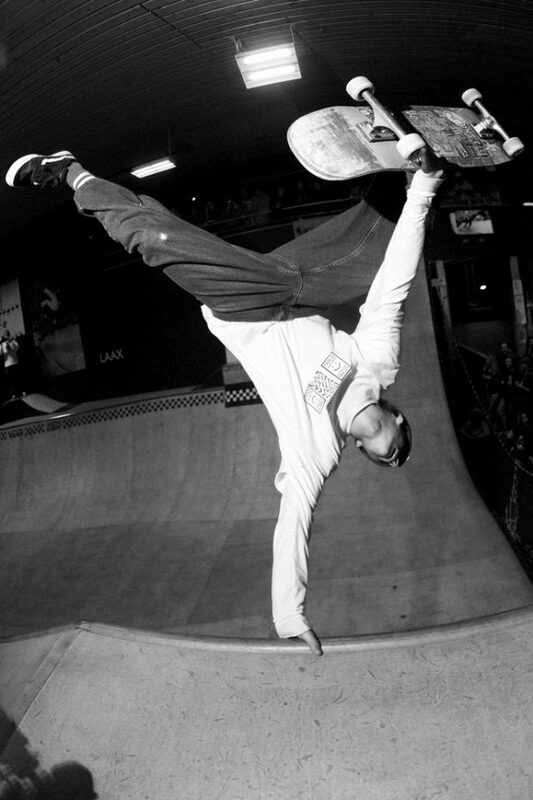 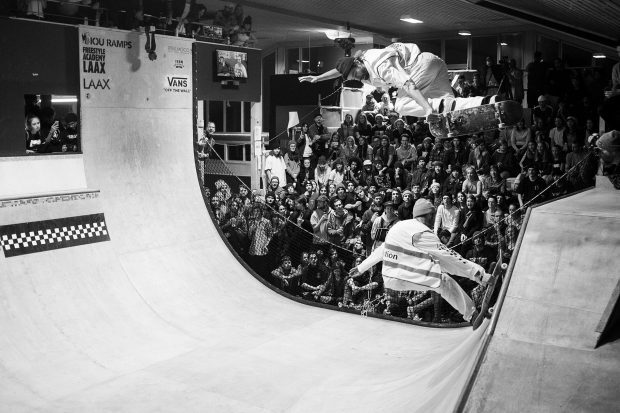 Team Trouble took place at the Freestyle Academy mini ramp in Laax, Switzerland. 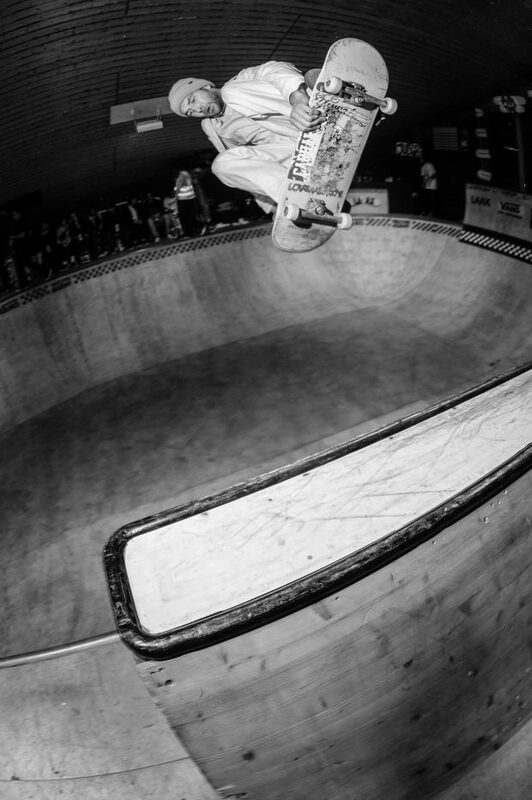 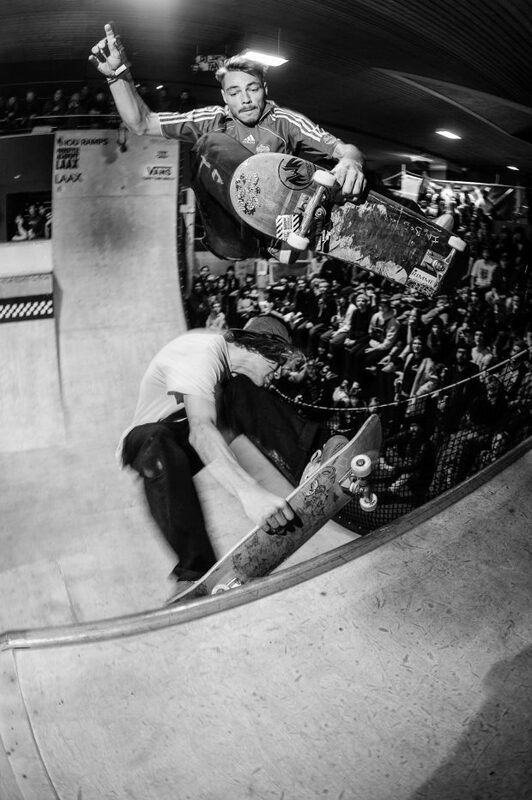 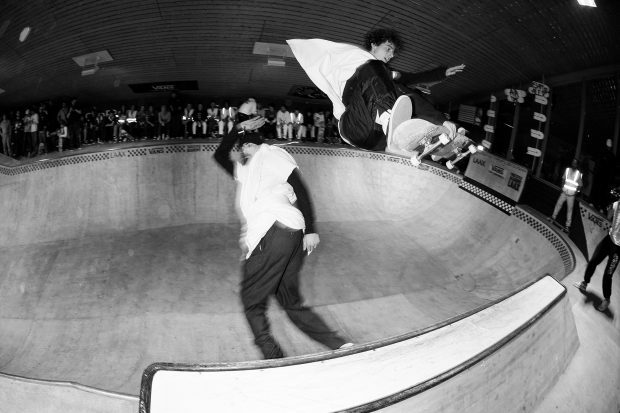 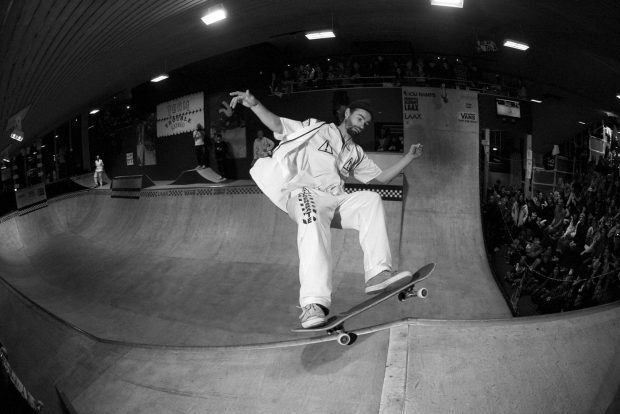 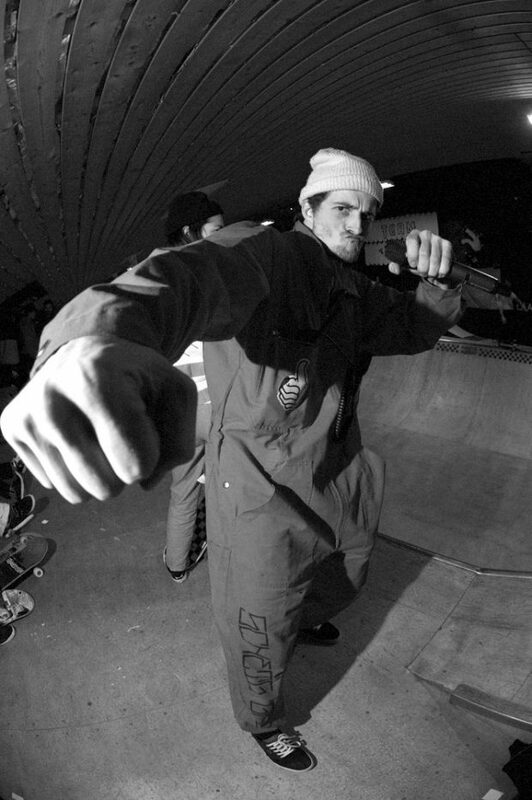 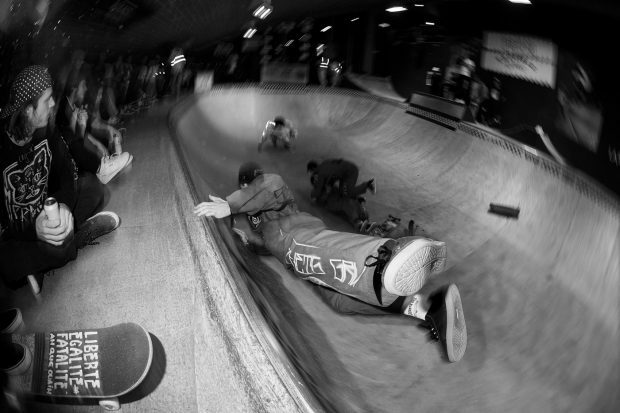 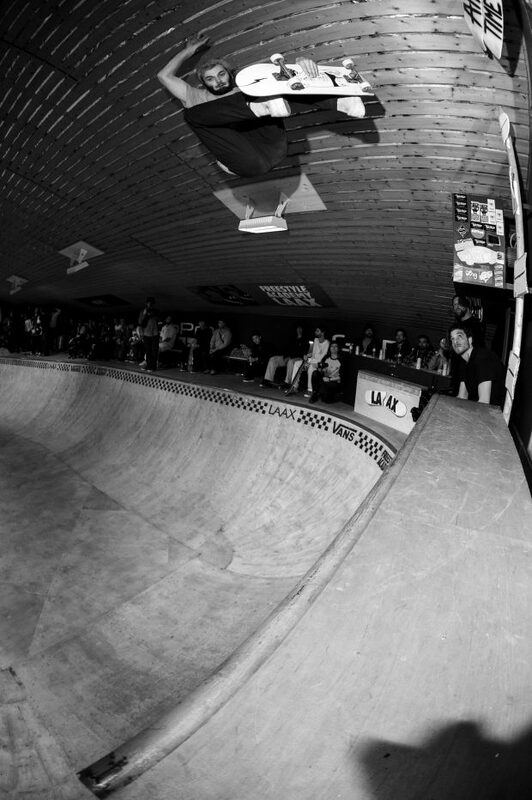 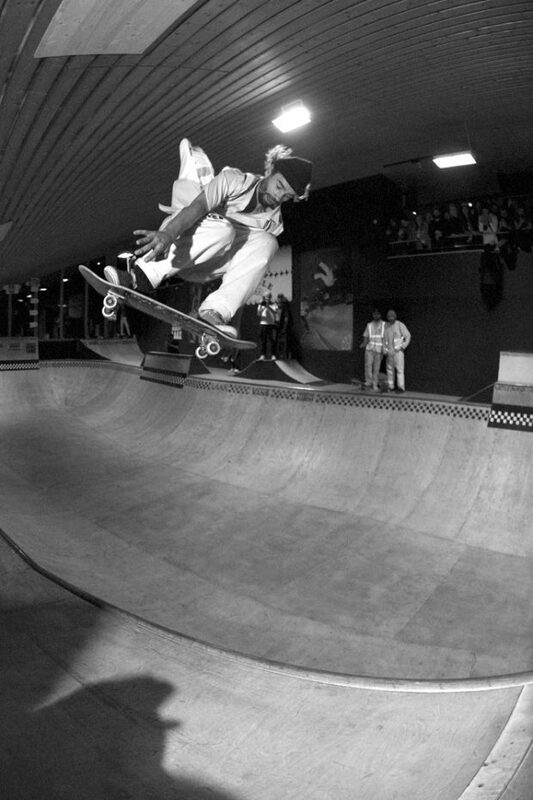 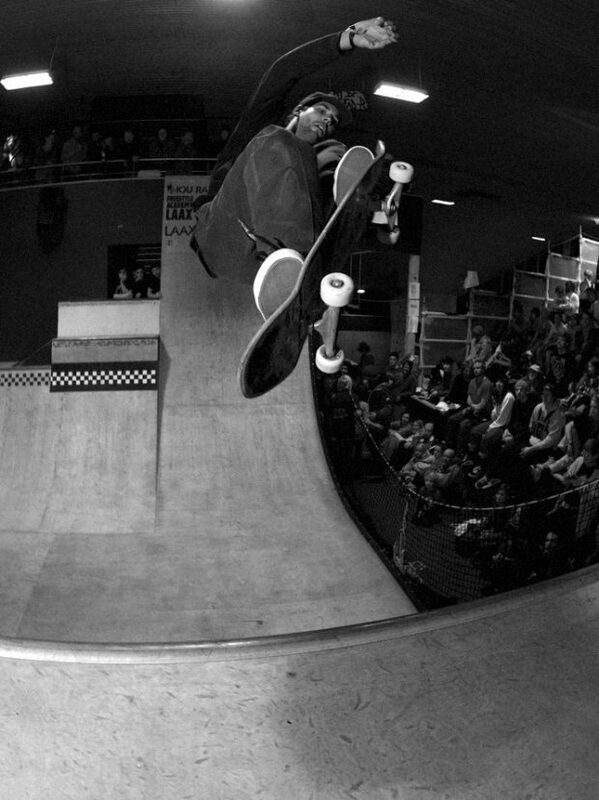 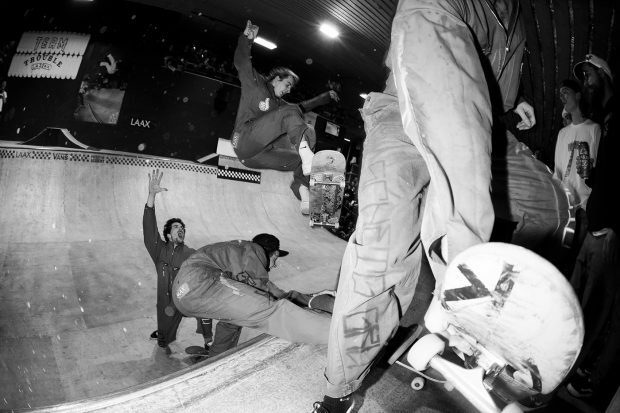 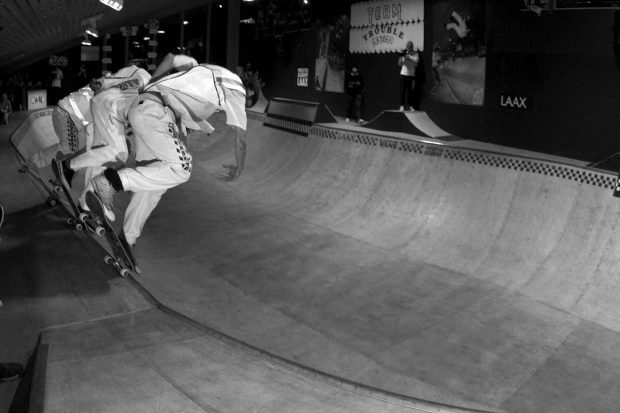 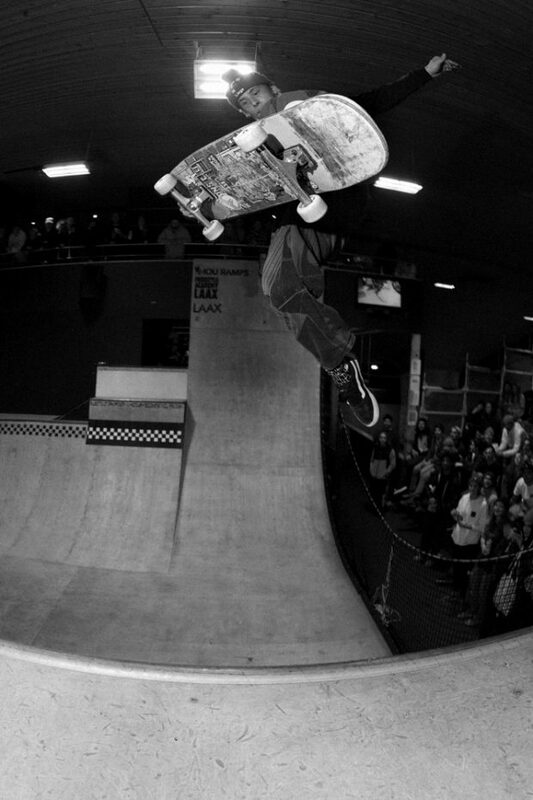 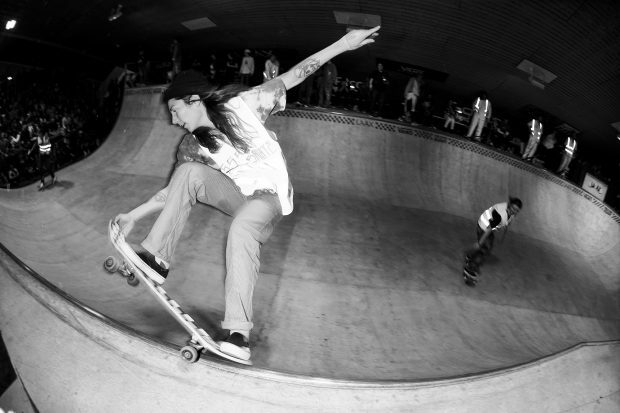 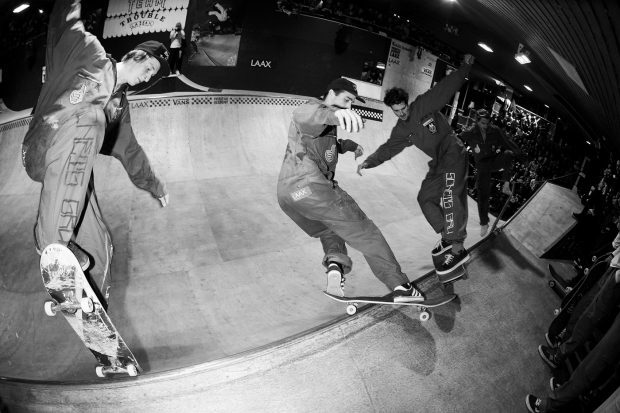 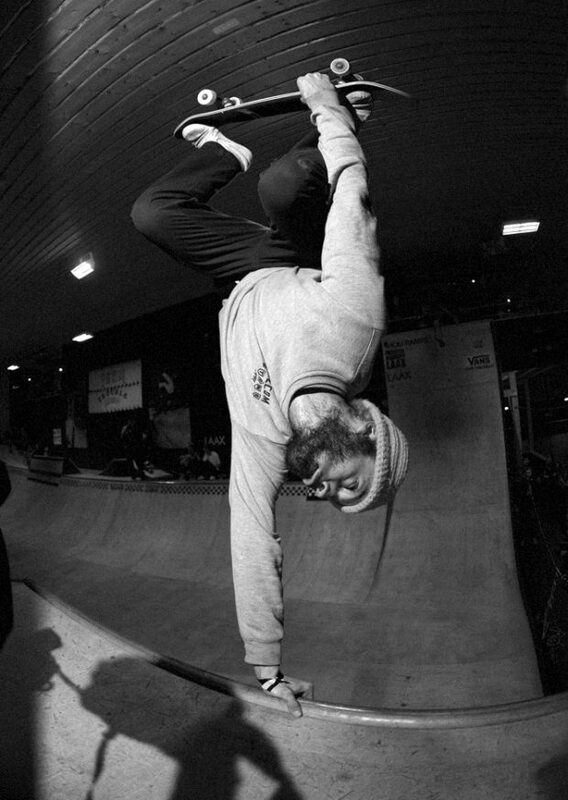 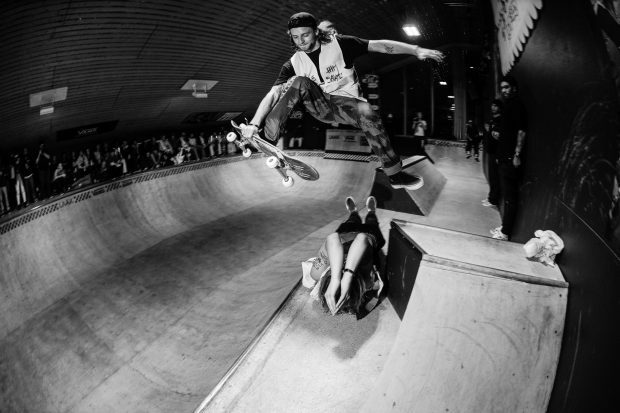 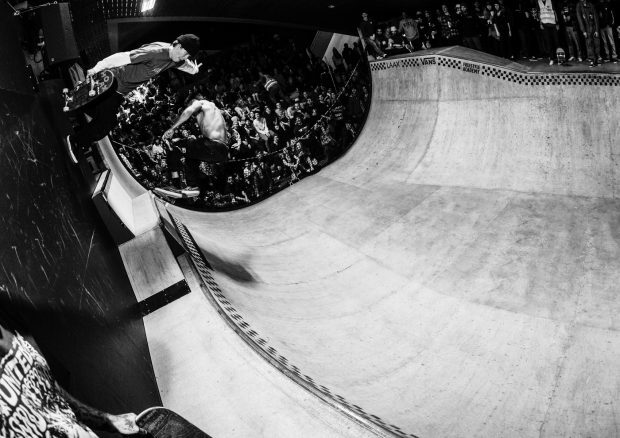 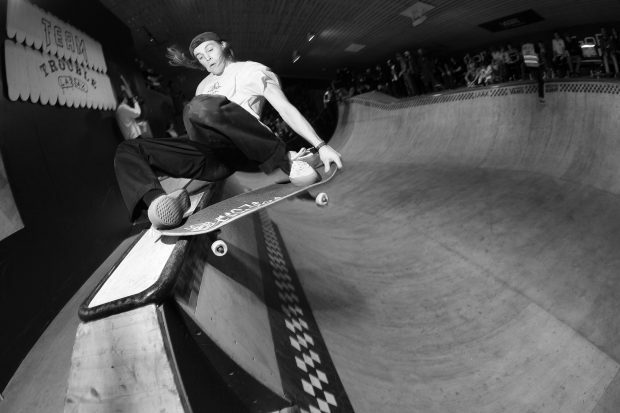 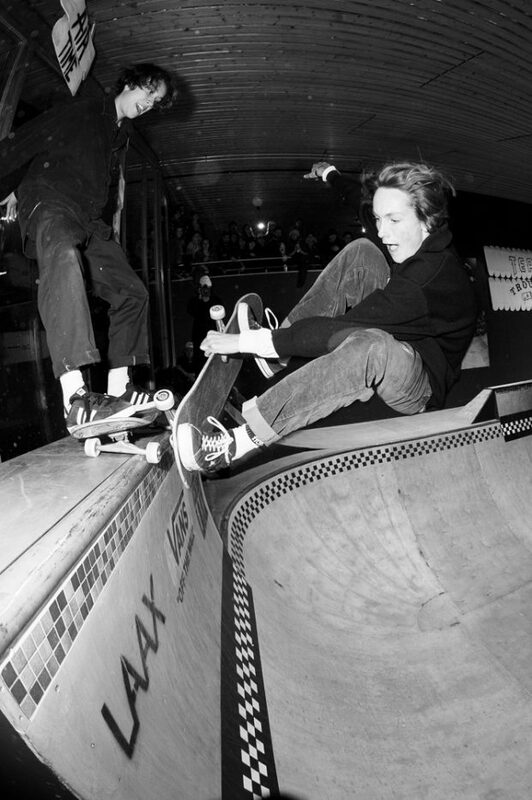 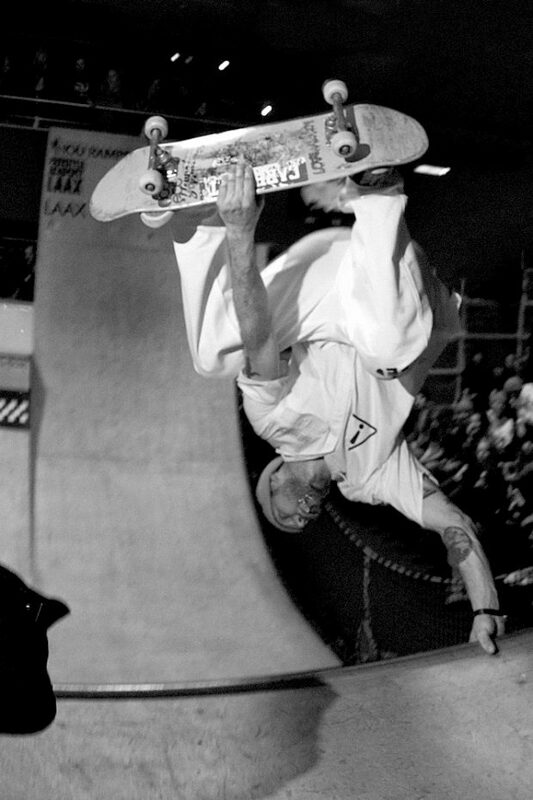 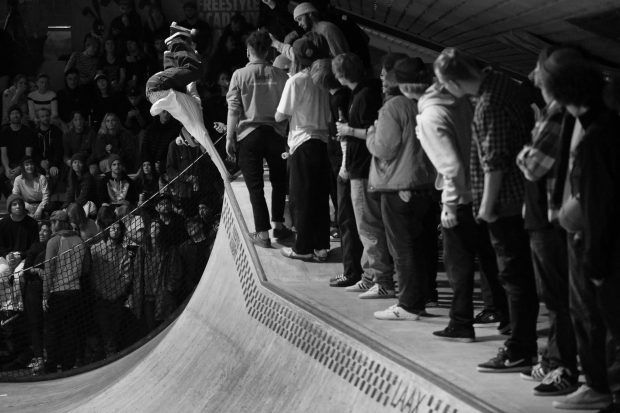 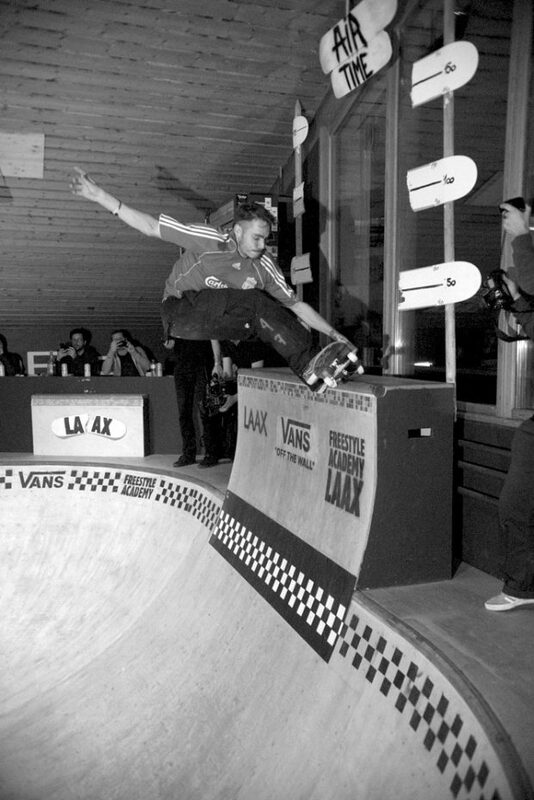 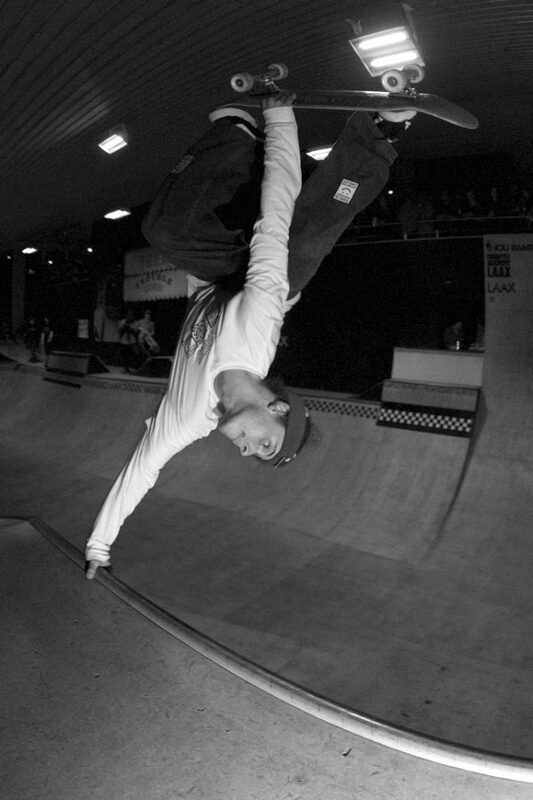 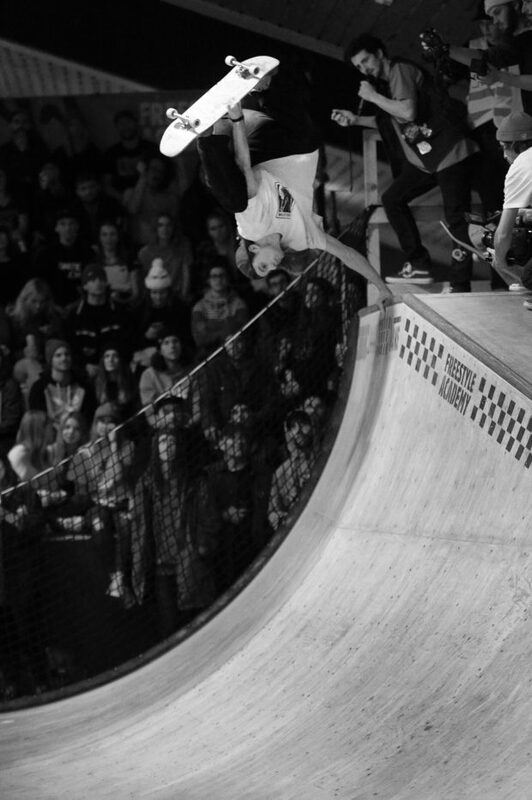 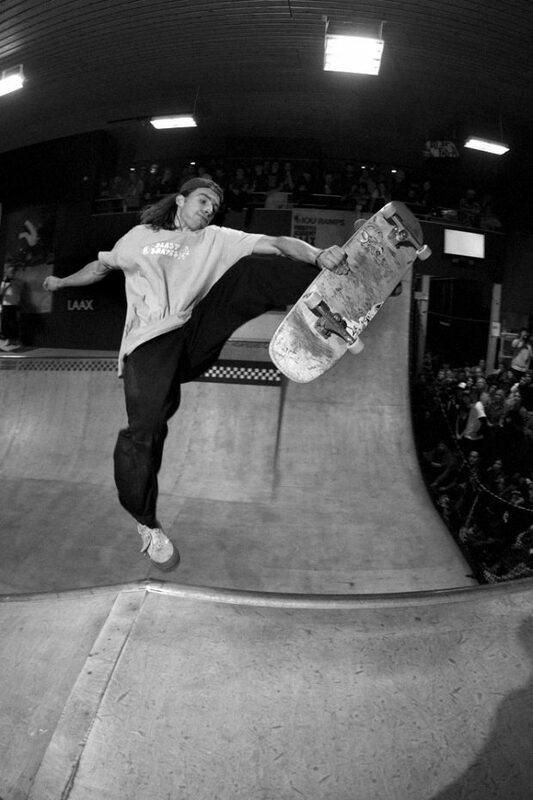 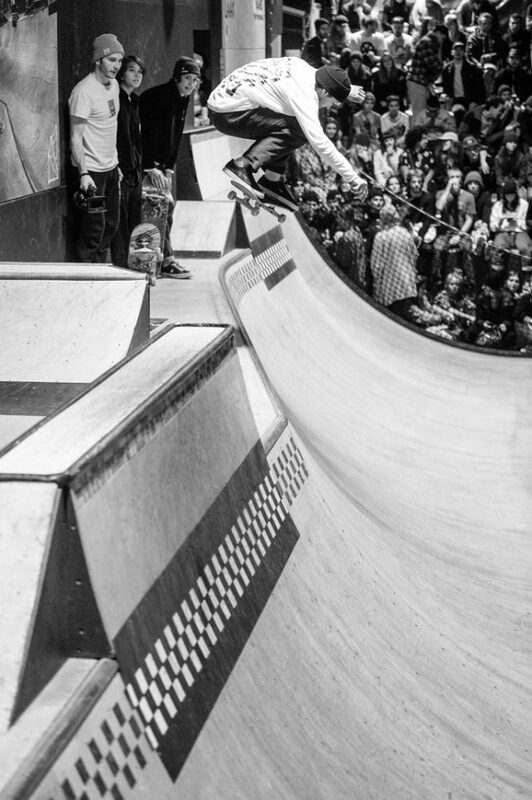 About 10 teams from England, Switzerland, Belgium, and France and other skaters from Spain, Sweden and Scotland gathered for the annual gathering of many of europe’s best ramp skaters. 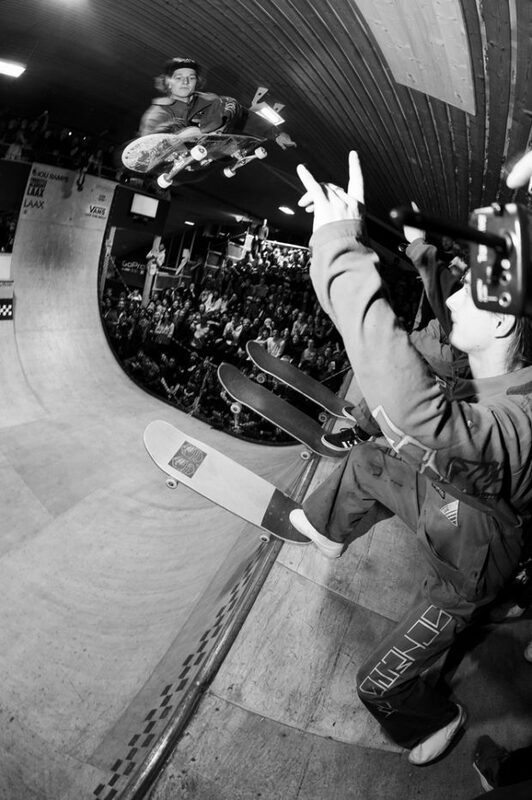 In the end Team Lovenskate with Jordan Thackeray, Alex Hallford, Ewen Bower and Aaron Wilmot, took 1st place, defending their win from the last edition, with Pocket Fluff in 2nd, Sam Beckett got hurt in the qualications replaced by Swedish ripper Jonathan Sjöberg and skated along side Craig Questions, Sox and Ben Broyd from England and Team Savate with Vincent Coupeau, George Poole, Chloé Bernard and Gaëtan Ducellier, in 3rd place. 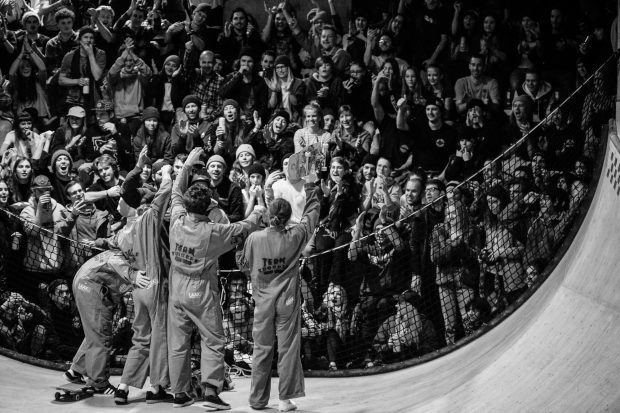 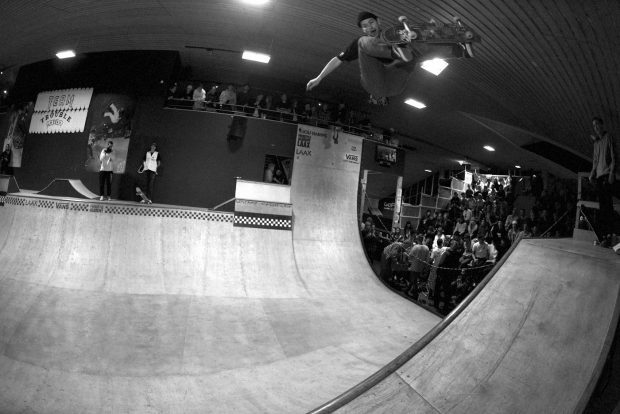 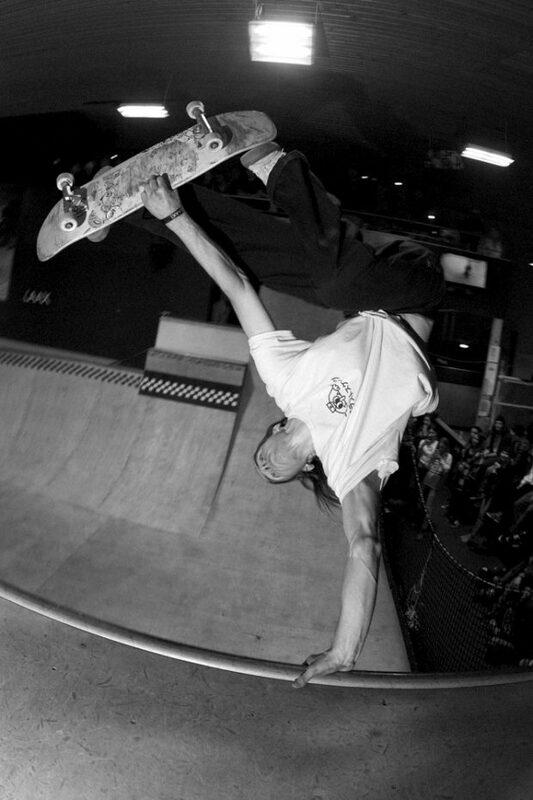 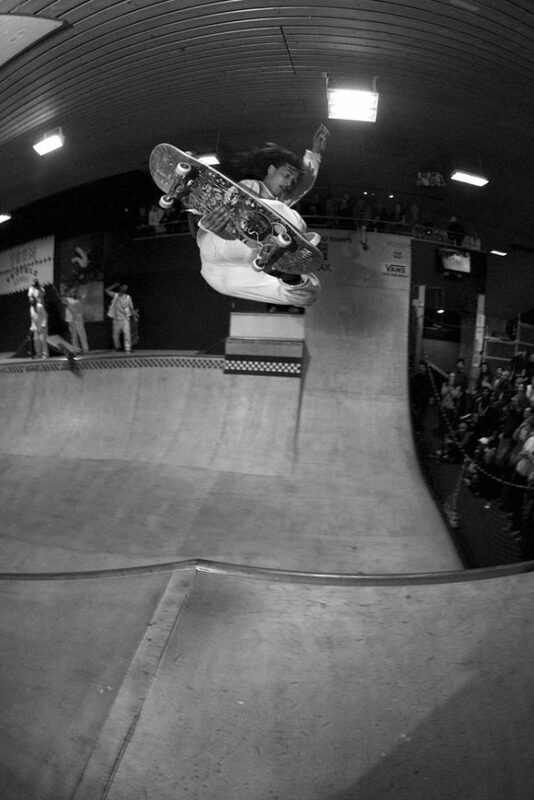 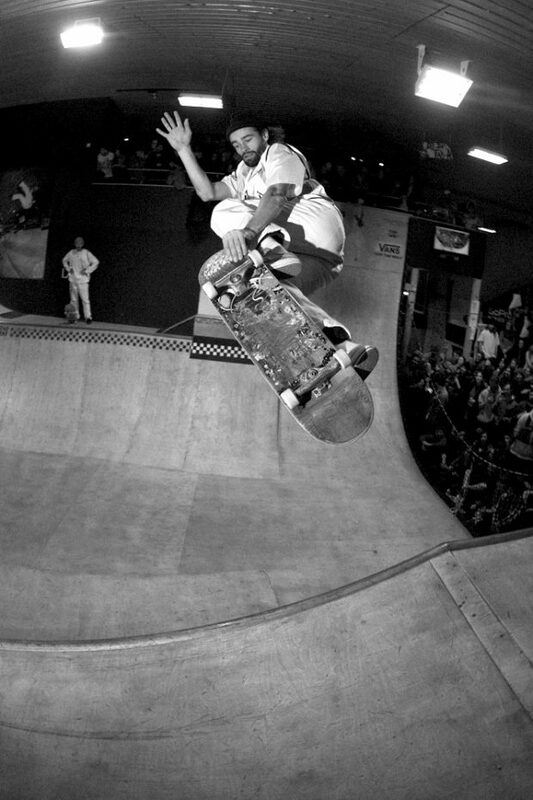 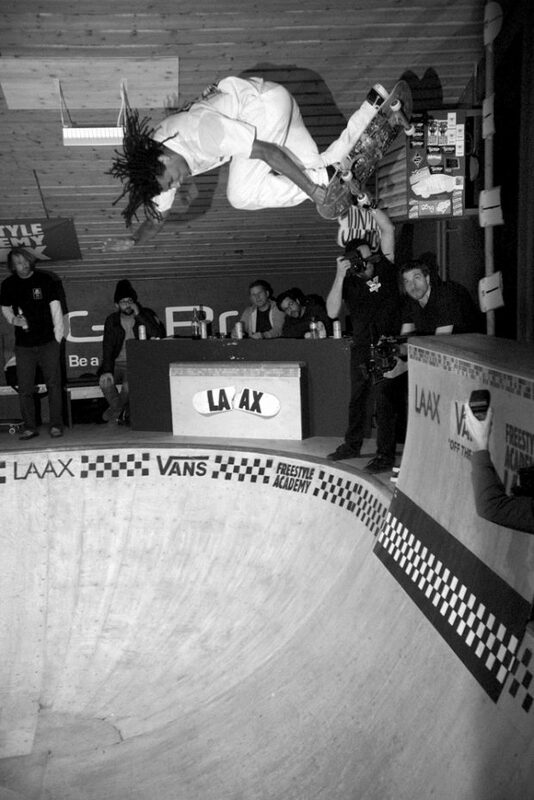 All the other teams put on a good show, whether it was big moves, team skating and camaraderie or slams, and everyone both in the contest or watching had a great time during the contest and at the after parties. 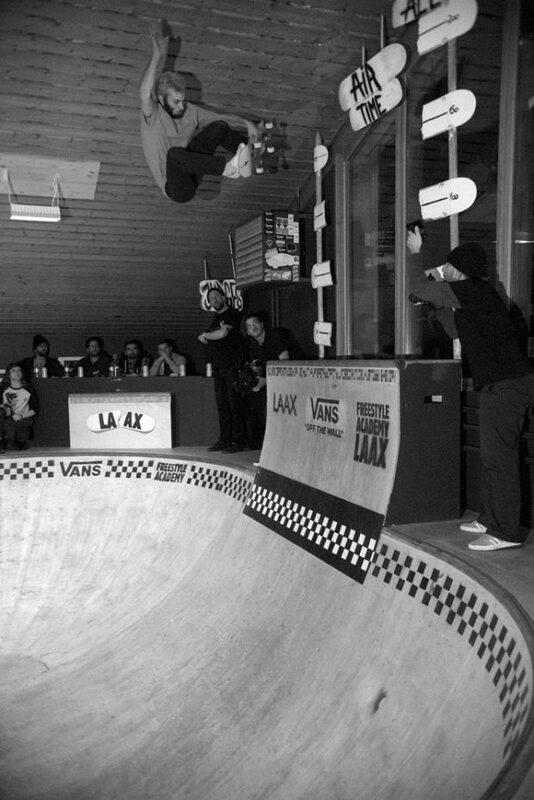 First day was qualifications, second day best trick and handplant contest and final day was finals with two wildcard teams that had a second chance to compete in the finals, with a polenta, a local dish from the Lugano, Switzerland region cooked up by the Warriors… The toga party at the after party club started with a slam pit and ended in the wee hours of the morning with DJs and final goodbyes before everyone dragged themselves out of bed to take the shuttle to the airport and flew back to their countries or drove back to wherever they lived from the mountain. 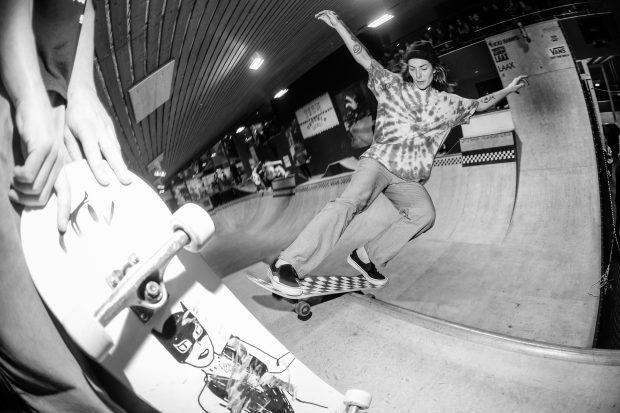 The rest of the stories remain untold, so check out the photos and video and show up next year for a little get away from reality and a show of skateboarding skills and party above and beyond the expected. 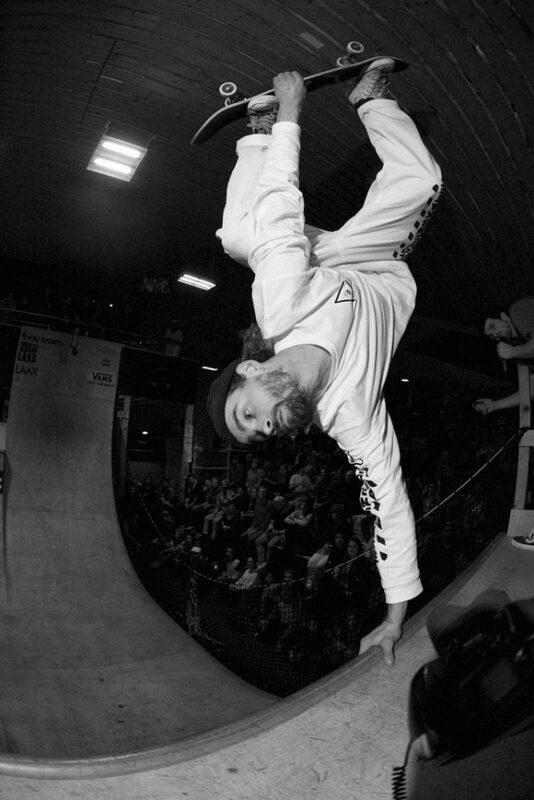 Thanks to Cedi (MC and competitor), photographer Alan Maag, filmer Shawn, and the rest of the organizers for putting on a good show!